Michael Jackson Manslaughter Trial Begins! The death of Michael Jackson is sure to go down in history as one of those “Where were you when this happened” moments. I will never forget. I was in a room at the Hotel Riviera in Cordoba, Spain on a trip with two of my girlfriends. We settled into the room and turned on the TV to find the only English channel was CNN and that there was global bedlam because Michael Jackson was dead. Being in Europe, where the fans have been known to go cray cray over the gloved one, made me feel like I would awake to singing and crying in the streets. Instead I awoke to headlines in 10 different languages—all saying the same thing—The King Is Dead. 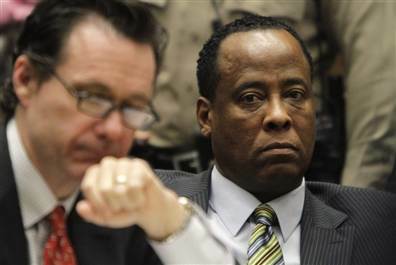 Well today begins the trial of his accused killer, Dr. Conrad Murray. Charges: Murray is charged with one count of involuntary manslaughter, which, in California, is an unlawful killing that takes place either during the commission of an unlawful non-felony act, or during the commission of a lawful act that involves a high risk of death or great bodily harm that is committed without due caution or circumspection. If convicted, Murray faces a maximum of four years in prison, the loss of his medical license, up to $10,000 in fines and formal probation. The doctor, who is currently barred from practicing medicine in California, has pleaded not guilty. The Defendant: Murray had been employed for a short time as Jackson’s personal physician, having been hired by AEG Live, which was producing Jackson’s This Is It concert series, to the tune of $150,000 a month. That’s a HUGE amount of money. Surely a jury will be looking at that as a “golden ticket” that Murray didn’t want to lose even if it meant ignoring that little promise he made called the Hyppocratic Oath. After Jackson’s death, Murray claimed that he hadn’t yet been paid for any of his services. The doctor, who kept offices in Houston and Las Vegas, was revealed to be BROKE and was behind on child support payments. Since his arrest in February 2010, Murray has been free on $75,000 bail and has pleaded not guilty to involuntary manslaughter. The Defense: Murray claims that he had been trying to wean Jackson off of the anesthetic propofol, which MJ had been using regularly to get to get his beauty rest. Despite witness statements to the contrary, Murray says that only about 10 minutes passed between the time he discovered Jackson unconscious and the time he called 911. Because that’s OK? 10 minutes is an enternity when dealing with someone’s health can mean the difference between life and death. Clearly death in the case of MJ. His legal camp, headed up by Texas-based counselor Edward Chernoff, is prepared to argue that Jackson injected himself with the fatal dose of propofol. SN: In order to represent Murray, Chernoff took the California Bar Exam. His co-counsel are L.A.-based Michael Flanagan and Nareg Gourjian. I won’t be taking another bar exam for ANYONE. Not even MJ (RIP). The Prosection: Deputy District Attorneys David Walgren and Deborah Brazil, 16- and 15-year veterans of the L.A. County District Attorney’s Office, will argue that Murray was negligent in his treatment of Jackson and that his carelessness and bad judgment resulted in the singer’s death. The Judge: L.A. Superior Court Judge Michael Pastor, named Judge of the Year in 2007 by the L.A. County Bar Association, is one of only 10 judges in the entire Superior Court system designated to preside over “complex criminal litigation.” He is allowing cameras in the courtroom and refused the defense’s wish to sequester the jury for the duration of the trial, calling it an unnecessary burden on the jurors. He will surely live to regret that decision. Excluded Evidence: Many items that lawyers would consider key have been excluded from evidence already. No evidence or mention of his molestation case will be allowed. 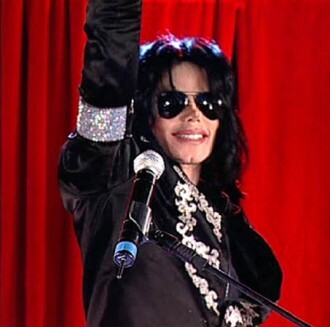 The video of a supposed exhausted and erratic Michael Jackson announcing the “This Is It” Tour was excluded. And much more that we will see unfold in the coming days. If convicted, Murray faces up to four years in prison. That doesn’t sound like a whole lot for killing the King does it?! But can we expect Murray to get a fair trial? I mean, he is on trial for killing the KING! I know I keep emphasizing that but come on folks its MJ, the King of Pop, the Gloved One, Mr. Thriller himself! I’m surprised no one has tarred and feathered poor Conrad by now. But I think the truth of the matter is, MJ did what MJ wanted to do. And when the King says “Pump me full of Propofol so I can take a snooze”, 10 out of 10 people were going to say “Yes sir right away sir would you like it warmed to 75 degrees for ease of administration sir? !” So Conrad may just have to take one for the team here. Sad but true. So the good news is, we have another Trial of the Century to add to the books (and the blogs). The bad news is, it is playing out on the West Coast so that means longer days for us East Coast folks who don’t want to miss a minute. Thank God for Tivo. This entry was posted in Michael Jackson Manslaughter Trial and tagged Conrad Murray, Manslaughter, Michael Jackson. Bookmark the permalink.